Tanya has been a long time athlete herself and she has experience working with many different types of athletes from beginners to elite age groupers. She is passionate about educating athletes to be empowered about their training and racing. She is also an orthopedic surgery and sports medicine training physican assistant and has nutrition certifications, and so her approach to coaching is multifaceted. Tanya was a former professional water-skier for Great Britain turned triathlete. She is a Johns Hopkins orthopedic surgery and sports medicine training physician assistant. She has stepped into the role of triathlon and nutrition coach as she is passionate about living a healthy active lifestyles and enjoys helping others do the same. 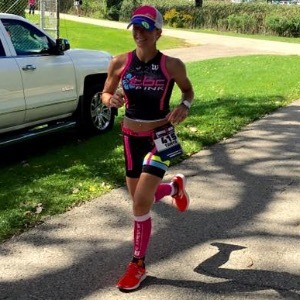 She is an elite age grouper and Kona qualifyer herself and so in addition to the education and experience she has coaching, she also has first hand experience. She also enjoys working with athletes who have struggled with weight issues at baseline OR athlete looking to get a better grip of their racing weight and nutrition. She takes into account the whole athlete and strives to keep up with the latest training, nutrition, and coaching research and methods to help her athletes. I like working with athletes who are hard working and committed to achieving their own goals. Success. Coach Tanya Zucco has been notified of your message.